It's a testament to the extraordinary quality of its multiplayer that Black Ops 2 won't go down as a forgotten entry. For most, that's probably enough to strongly recommend it. A saving grace, if ever there was one, Treyarch has taken big risks with the most successful multiplayer formula in online shooters since online play and party systems. That innovation, combined with the constant refinement of Call of Duty's multiplayer mechanics over the years, makes Black Ops 2 the best online shooter out there. It's a great game from a studio that's done everything it can with the tools at its disposal to reinvigorate Call of Duty, even if it doesn't refashion the series completely. You won't appreciate that just by playing its online mode, and you will be disappointed if you're wanting the property to be turned inside out and spun on its head. Those that simply love to play military first-person shooters, and were looking for something that finds what life is left in the genre, however, should find themselves perfectly catered to. Black Ops 2 is conflicted. It wants to move in bold new directions, but it falls back on safe, but aging, mechanics. 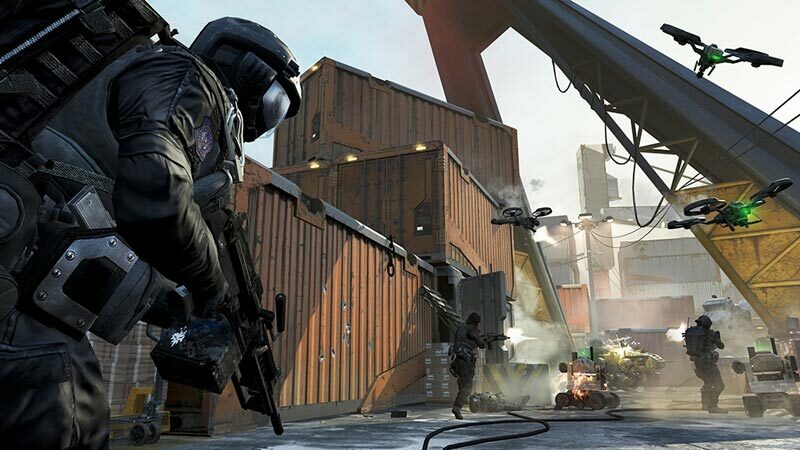 It's the first time in a while that a Call of Duty's single player hasn't just felt like just a rollercoaster dragging you along and the multiplayer still has all the normal hooks to keep you playing. Not every new change goes over perfectly, but it's refreshing to see a developer trying to do something new with the military shooter genre. 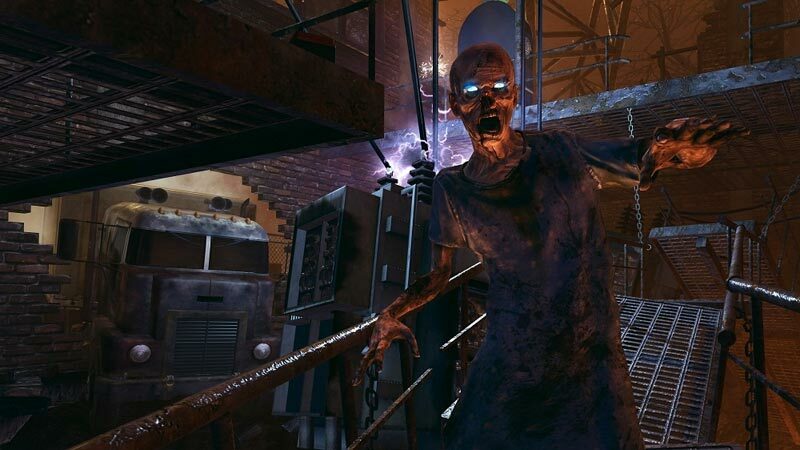 Zombies mode also returns to add value, whether you get into the secret subplots, like screwing around cooperatively with friends, or will remain completely ignorant of the joys within (like me). It's comforting to know that the replay value of Call of Duty's teamwork mode is available to back up the $60 price tag. 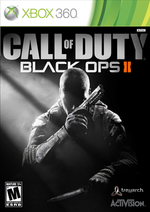 I say that because Black Ops II takes one step backward for every step forward. Embracing the same minute improvements the simulation sports genre has, Treyarch makes an argument for advancement in the series but doesn't seal the deal in execution. Though zombies mode is stagnating, the rest of Black Ops II is lively, and it's great to see some shifting in the familiar structure. Developer Treyarch's storytelling prowess has once again resulted in an engaging, exciting campaign, and the addition of league play to the online multiplayer arena is an intriguing change that could reinvigorate the formula that has endured for so long. 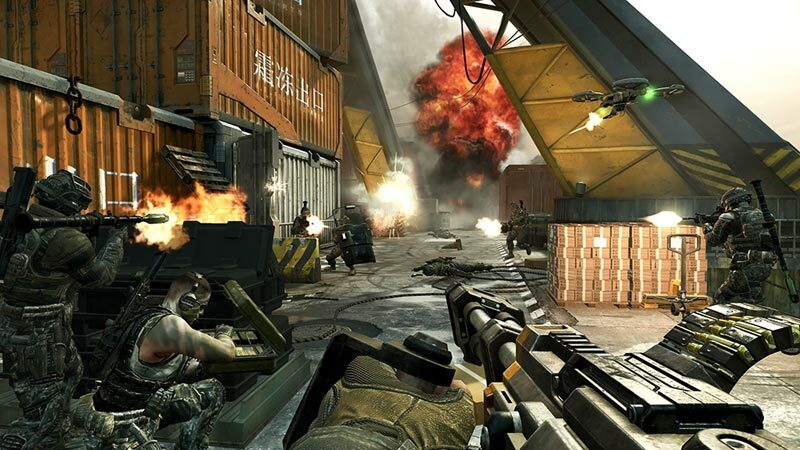 By reaching forward while remaining rooted in the things it does so well, Black Ops II offers a great shooter experience. No significant new match types are present, and the Pick 10 system doesn’t drastically change the gameplay experience. Most of the changes to the Call of Duty formula come in campaign mode, and they are executed with mixed results. Despite some frustrations, Black Ops II is yet another massive, polished, finely tuned entry in a series that shows no signs of slowing down. The riveting single player storyline features the wonderfully designed strategic Strike Force Missions; the online Multiplayer experience is much more robust than ever before and the Zombies mode has also received significant upgrades. It is quite amazing how the development team managed to fit this much content onto one disk. Needless to say, shooter fans can purchase Black Ops 2 with confidence. Black Ops II delivers on all fronts. Zombies drops you into an intense, expansive world with untold secrets to discover, multiplayer's Pick 10 system and Scorestreaks open up new strategies to exploit, and the single-player campaign warrants repeat visits from its captivating, branching storyline. Treyarch introduces new ideas to the tried-and-true game mechanics of the series and improves upon them. It doesn't reinvent the wheel, and some of the multiplayer changes feel more like they're propping up an aging concept rather than truly moving it forward, even though it's still a good way to spend time with your online friends. For me, it's the notion that Call of Duty is showing some terrific signs of life on the campaign side that left me the most impressed. It's got its share of flaws, but overall Treyarch has assembled a great, fast, and fun first-person shooter that, even if you were thinking about finally skipping a year, is still worth your time. 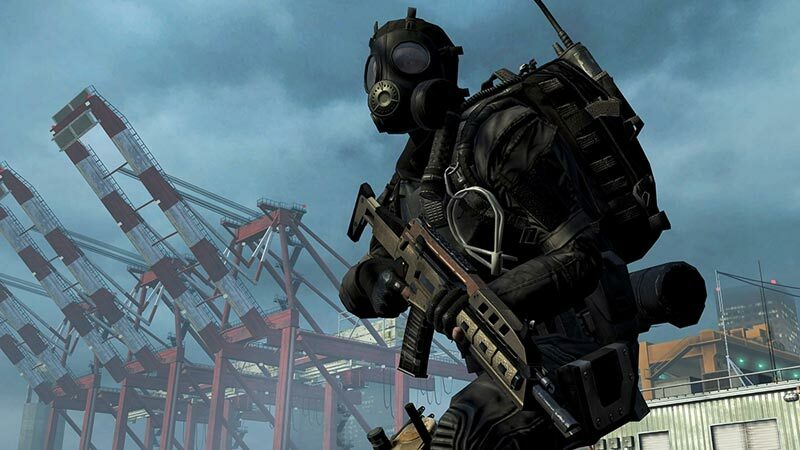 While the Modern Warfare franchise tends to play it safe, Treyarch was especially brave with its shepherding of the Call of Duty brand in the first Black Ops. Including its patented zombie mode along with a top-down shooter and other hidden goodies, it wasn’t afraid to break the mold of the traditional modern military shooter. 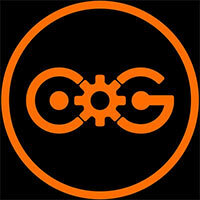 Multiplayer is king in Black Ops 2, offering plenty of in-game and inherent rewards for its ravenous online community. It's paired with a lackluster story that fails the ambition shown by the branching campaign, reflecting the overall game's forward-thinking but imperfectly executed ideas. Call of Duty: Black Ops 2 isn't the best or most charming entry in the franchise, then, but it takes risks, exploring more than is strictly required for an inevitably annual franchise. For the fans, though, Black Ops 2 offers the rare sight of a series at its height choosing to experiment and change rather than stay loyal to a proven, but tired, formula. It may be a small victory in the battle for fresh blockbuster thinking, but it's a victory nonetheless. Those hoping to see Call of Duty knocked off its perch will have to wait another year. The package as a whole is still an incredibly rewarding one and anyone who takes their time with the single-player will find a lot to take away from its rich narrative and jarring moments. It’s also the longest campaign the series has ever seen, clocking in at roughly 10-11 hours for me on Hardened. Add to this a massively expanded and incredibly fun Zombies option and what I’d argue is the best multiplayer the series has ever seen. Este juego no pasará a la historia de las obras maestras de los FPS y será a buen seguro mejorado por la entrega del año que viene. Aún así, es un producto brillante y con garantías de diversión y duración a lo largo de los meses, mantenedor de todos los atributos de la marca, lo que lo hará histórico para unos y solo recomendable o a tener en cuenta para otros, entre los que me encuentro. Es el mejor Call of Duty, pero es Call of Duty. 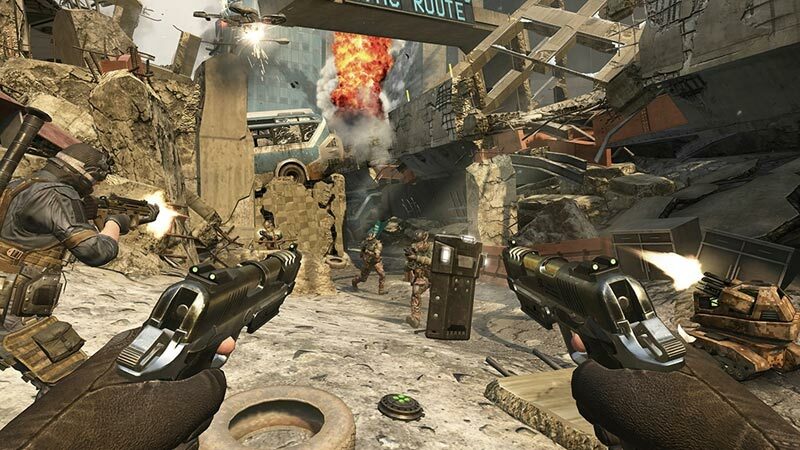 Black Ops II trae de vuelta el estilo de acción desenfrenada de Call of Duty en un videojuego que puede presumir de tener uno de los mejores antagonistas y guiones de la saga. Su campaña permite tomar decisiones que afectan parcialmente a su desarrollo, y la inclusión de las misiones Strike Force se agradece. La ambientación en el futuro de buena parte de la experiencia individual aporta frescura, y al multijugador le basta con retocar levemente su extraordinario funcionamiento para seguir divirtiendo. Lags haben Seltenheitswert, die Gefechte laufen rasend schnell ab, einzelne Modi wie „Kill Confirmed“, „Hardpoint“ oder „Gun Game“ sind Motivations-Garanten. Aber auch hier: Bloß keine Überraschungen erwarten! Alle Modi sind bekannt, Serverbrowser gibt es nicht, die hohe Geschwindigkeit setzt wie immer eine ordentliche Frusttoleranz voraus. Und so weht die Flagge des Stillstands über einem soliden, aber alles andere als berauschenden Shooter. Wirklich schade. Bara bedriften i att få mig att välja bort Battlefield 3 för flerspelarläget inom genren är bevis nog för hur jag tycker och tänker om Call of Duty: Black Ops II. Alla tidigare inom spelserien har varit bra, men inte tillräckligt för att få mig att byta ut Electronic Arts förstapersonsskjutare. Nu är det dock andra tider, då Treyarch har lagt till så mycket kvalitativ underhållning att det både räcker och blir över. Jag längtar redan nu att få åter igen kasta mig in i all underbar action.